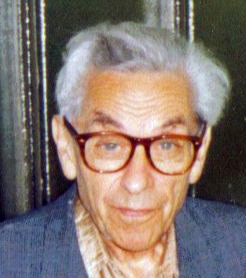 When I noted earlier this year that I was on my way to having an Erdős number of 3, due to either of two upcoming papers, a friend asked if I had an Erdős–Bacon number. My lack of a film career prompted me to answer, "no". I once appeared as an extra in a scene filmed for Lucid Days in Hell, but that scene was cut from the movie. So I didn't see how that helped. But recently while reading a biography of Jim Henson , another thought came to me: what if I could use TV shows? Henson appeared on a TV show called Afternoon, hosted by Willard Scott and Mac McGarry. I appeared on It's Academic, hosted by Mac McGarry. That's two degrees of separation from Jim Henson! And Willard Scott! But what about Kevin Bacon? Well, Henson appeared in The Muppet Movie with Austin Pendleton, who appeared in Starting Over with Kevin Bacon. Boom, if you allow TV shows (and you probably shouldn't), I have a Bacon number of four, and an Erdős–Bacon number of seven.